Sky-Tech is a company that has been in the business of manufacturing 3D printers for quite some time now. The Taiwan-based company has been in business since 2008 and when it comes to 3D printing they consider themselves to be quite the experts. Many people may be familiar with them through a product that was recently funded on Kickstarter. Sky-Tech is the developer behind the 3D Pandoras, a powder-based full-color 3D printer. They are also behind the Magic Box, another successfully funded Kickstarter campaign. The Magic Box is an acetone vapor bathing device for 3D prints, and it raised over $113,000 on Kickstarter back in June. In addition to this, the company has plans to release their COFI 3D Printer, as well as a 3D BioPrinter and a Two Color 3D printing pen, sometime in the middle of 2015. Very little details have been made available about any of these three products, as they are still under development. Finally at the end of 2015, Sky-Tech will release their powder-based ABS & PLA printer as well as their powder-based DIY Chocolate 3D printer. These will use the same sort of technology as the 3D Pandoras but will utilize different materials and we assume different binders. Although the 3D Pandoras is advertised as being able to print with a multitude of materials (including gypsum, rice husk, paper, ABS, PLA, ceramic, bone, metal, sugar, coffee, and chocolate), it should be interesting to see what differentiates these new machines from the 3D Pandoras, other than build area and price. Sky-Tech will be showing off their Magic Box as well as their dual-color 3D printing pen at CES in a few weeks. We will certainly be on hand checking them out. Without a doubt Sky-Tech appears to be on the verge of becoming a major player within the 3D printing space. It should be interesting to see how things develop over the next year or so. What do you think about some of these products that Sky-Tech will be bringing to market? 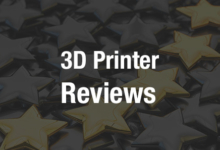 Discuss in the Sky-Tech 3D Printers forum thread on 3DPB.com.